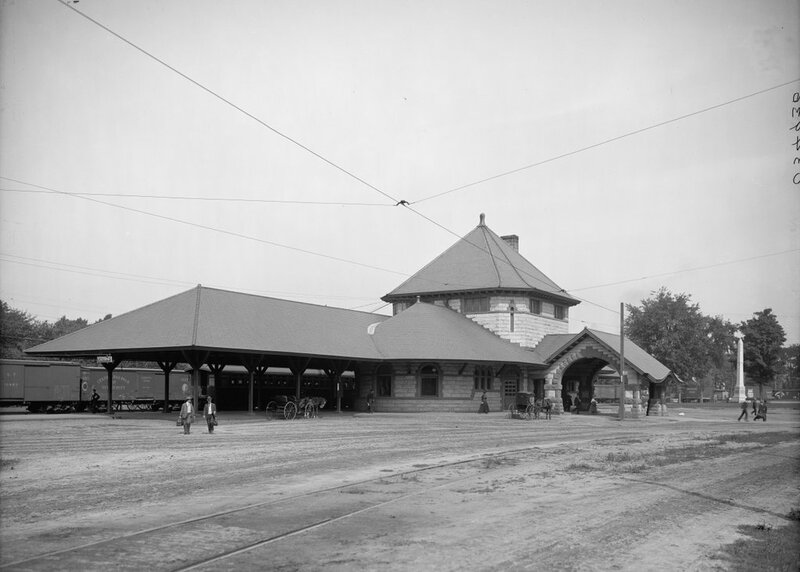 The Laconia Passenger Station, around 1900-1910. Image courtesy of the Library of Congress, Detroit Publishing Company Collection. Because railroads were the dominant form of transportation in the second half of the 19th century, a city’s railroad station was usually the first thing that visitors saw. As such, it was important to make a good first impression, so in 1892 Laconia’s previously humble railroad station was replaced by a far larger, more impressive one. It was designed by Bradford Gilbert, who drew heavily on the Romanesque style that had been made popular by recently-deceased architect Henry Hobson Richardson. 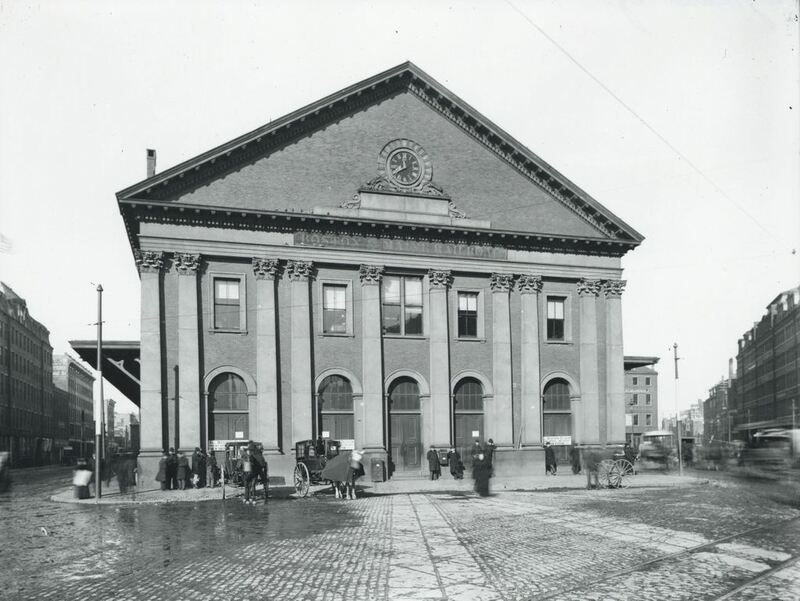 In fact, the Laconia station bears some resemblance to the old Union Station in Springfield, Massachusetts, which had been built three years earlier by Richardson’s successors at Shepley, Rutan and Coolidge. 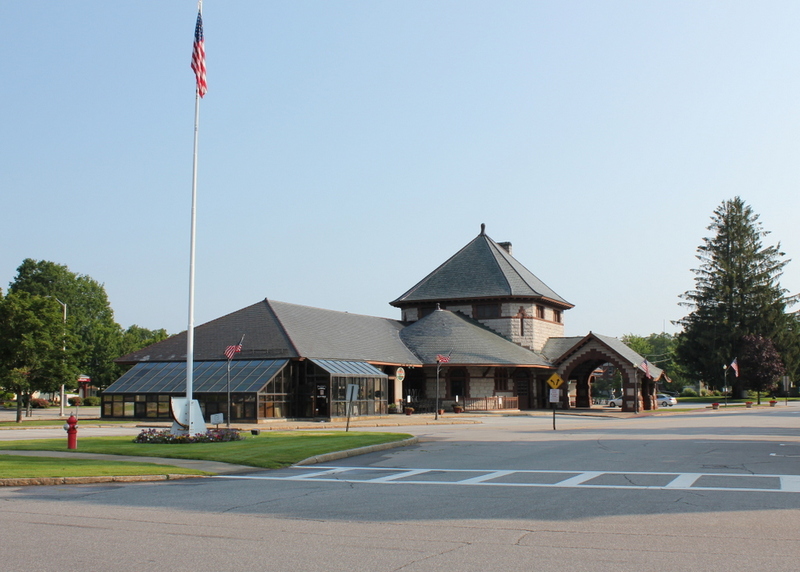 The station was owned by the Boston and Maine Railroad, and it was located on the main route to Lake Winnipesaukee and the White Mountains. However, with the decline of passenger rail by the mid 20th century, the station eventually closed. 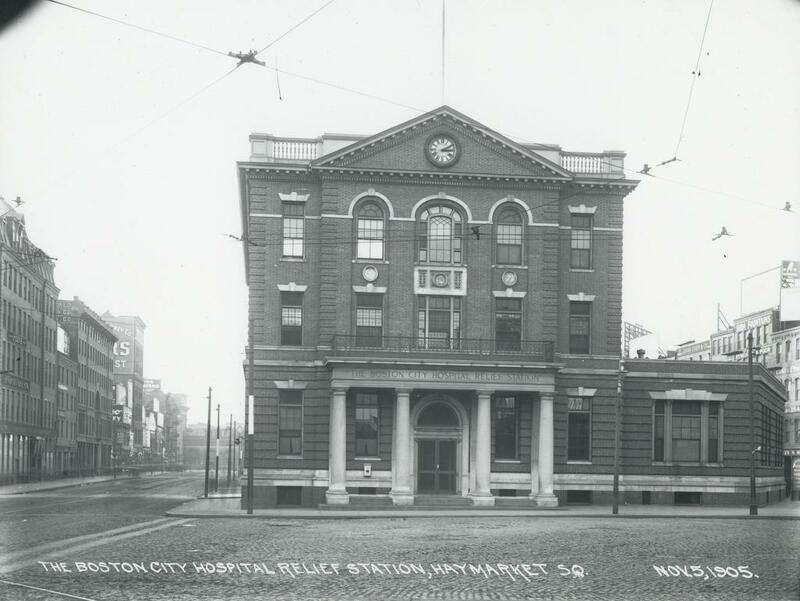 Boston and Maine ran their last passenger train through here in January 1965, and since then the building has been used for a variety of purposes, from a police station and courthouse to offices and stores. 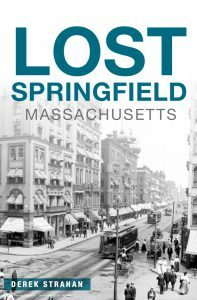 Today, it relatively unaltered from its appearance over a century ago, and it is listed on the National Register of Historic Places. The Boston, Concord and Montreal Railroad station at the Pemigewasset House in Plymouth, around 1900-1909. Image courtesy of the Library of Congress, Detroit Publishing Company. This railroad station in Plymouth would have been a busy place at the turn of the last century. Aside from local residents, passengers would have included students at the Plymouth Normal School, as well as travelers to the White Mountains. Located at the southern end of the White Mountains, any visitor from the south would have passed through here, and many stayed at the Pemigewasset House, the large building in the center of the photo. 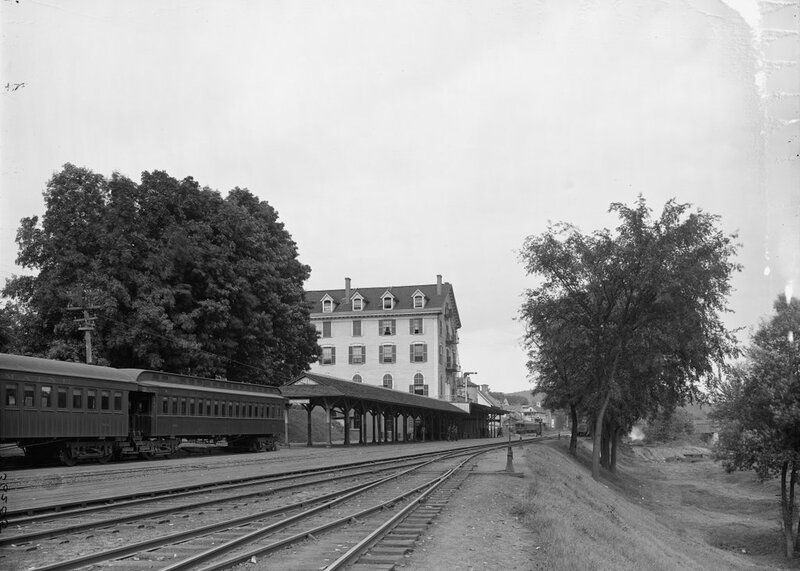 The hotel was owned by the Boston, Concord and Montreal Railroad, with the depot conveniently built into the basement. The daily northbound and southbound trains that passed through here around noon would stop for a half hour so passengers could enjoy a lunch at the restaurant in the hotel, which was also owned by the railroad. The Pemigewasset House burned in 1909, taking the old railroad depot with it. The hotel was rebuilt, but further up the hill and away from the tracks. The depot was rebuilt here as a stand-alone building, and it survives to this day, in the center of the photo partially hidden by trees. 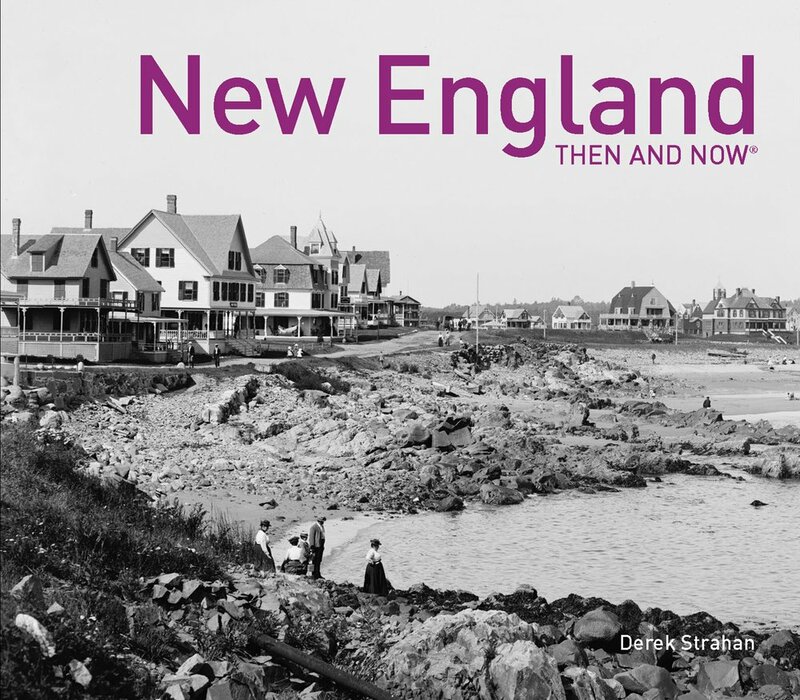 In the first photo, the railroad was owned by the Boston, Concord and Montreal Railroad, but was operated by the Boston & Maine Railroad, who leased the BC & M in 1895 until merging with it in 1919. 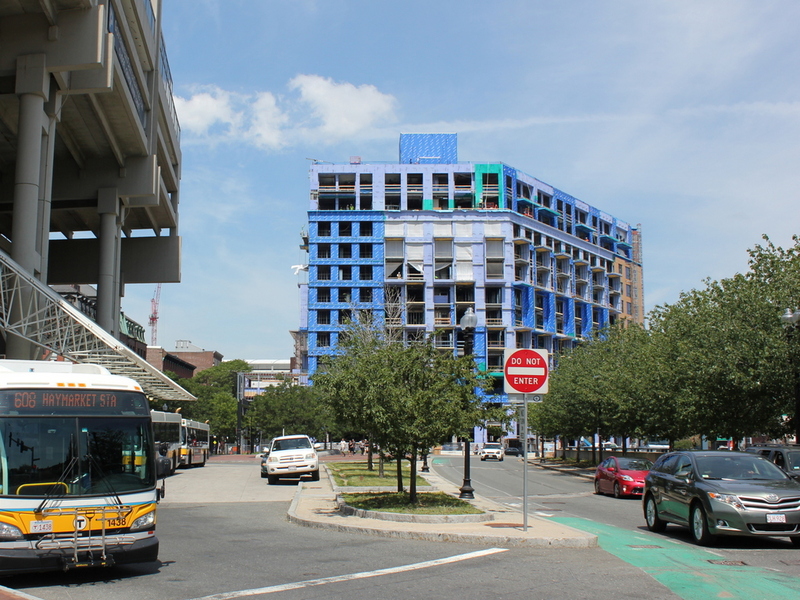 Two Boston & Maine passenger cars can be seen to the left, with a number of other rail cars in the distance beyond the station. Passenger rail service to Plymouth was eliminated in the mid 20th century, and today the old railroad station is a senior center. The only passenger trains that run now are scenic trains, including a fall foliage train that, like its predecessors, stops in Plymouth for lunch. 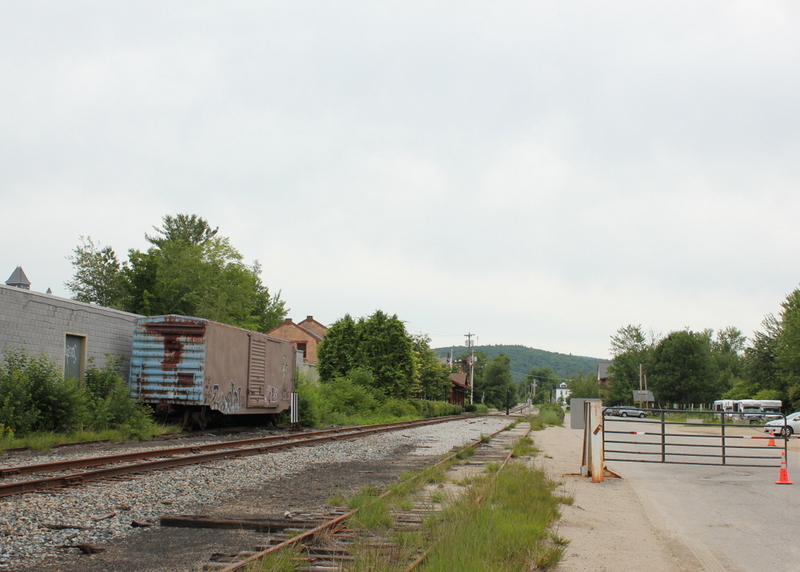 The Boston & Maine Railroad hasn’t existed as an independent railroad since 1983, but in the 2015 photo an old B&M boxcar sits on a side track, contrasting with the B&M coaches in the first photo. Most of it has been repainted, but the old railroad’s light blue colors can still be seen amid the rust on the back of the boxcar.